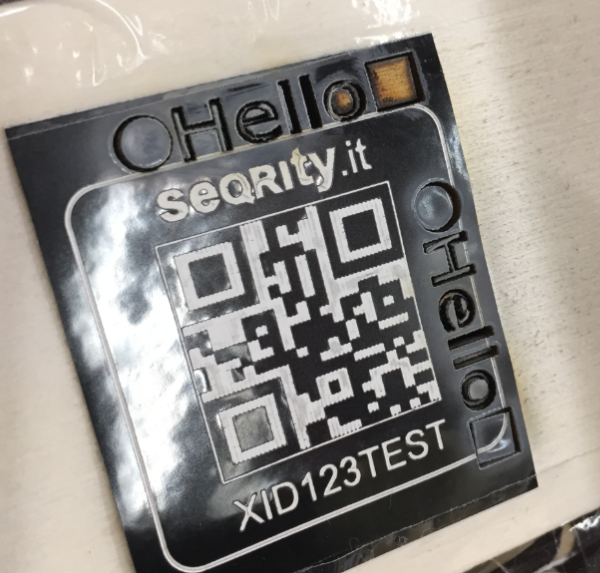 The concept is simple: instead printing labels, engrave them with a laser engraver. 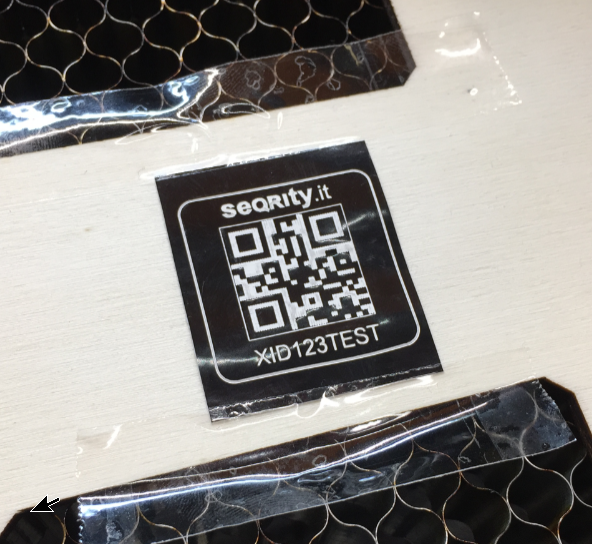 The labels are available in different colors, and the laser will remove the acrylic film. 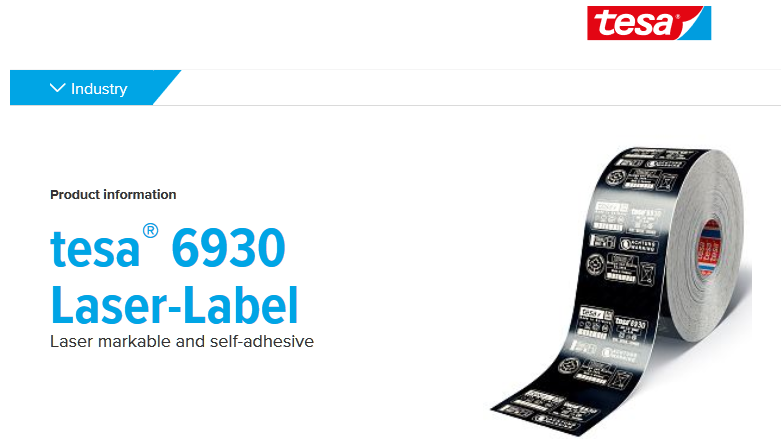 Such labels are commonly used in the automotive industry or as an anti-tamper label (e.g. combined with a serial number or similar). Details shown below: For that image, the laser was rastering North-South with 2% power and 300 mm/sec. So my 50 Watt laser is too powerful for this kind of application. Tesa did not specify the power used/needed, but I think for such an application an engraver in the 5-10 Watt or below should be used. So I admit that my experiment failed, but anyway that would have been an interesting application :-). 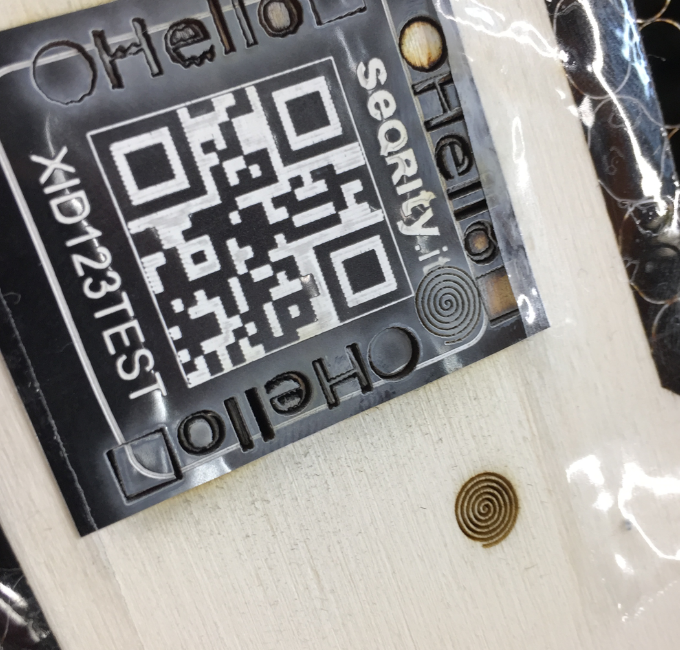 This entry was posted in Laser Cutter, Materials, Thoughts, Tips & Tricks and tagged Laser, Laser Cutter, laser engraver, technology, Thoughts by Erich Styger. Bookmark the permalink. 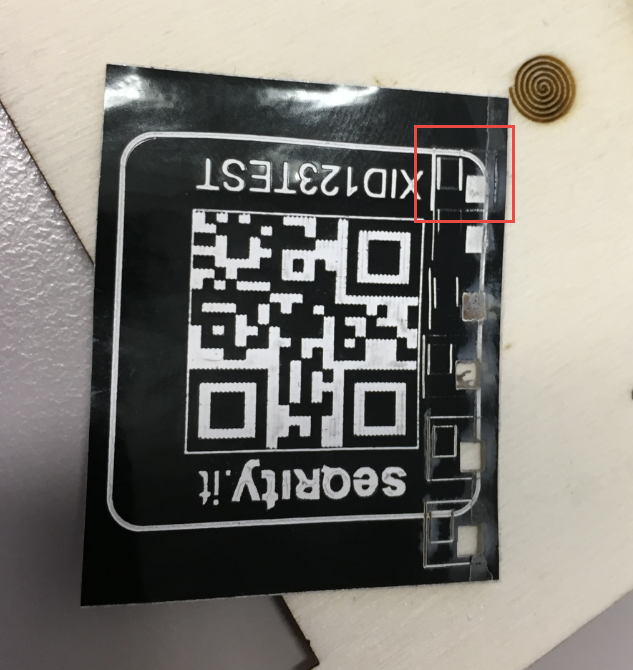 My 1.5W laser engraver would probably handle these labels, since I’ve been able to cut vinyl pretty easily. My engraver is homemade, and I chose the 1.5W laser just to start out with. I’ll probably work up to higher-powered lasers, but for “proof of concept” the 1.5W laser is fine. Interestingly my homemade engraver is able to resolve to 0.2mm dots with 0.2mm steps, and a work area of 120mm x 120mm. Keep up the great work, Erik! Thinking more about it, indeed a 1-2 Watt laser should be able to do it. 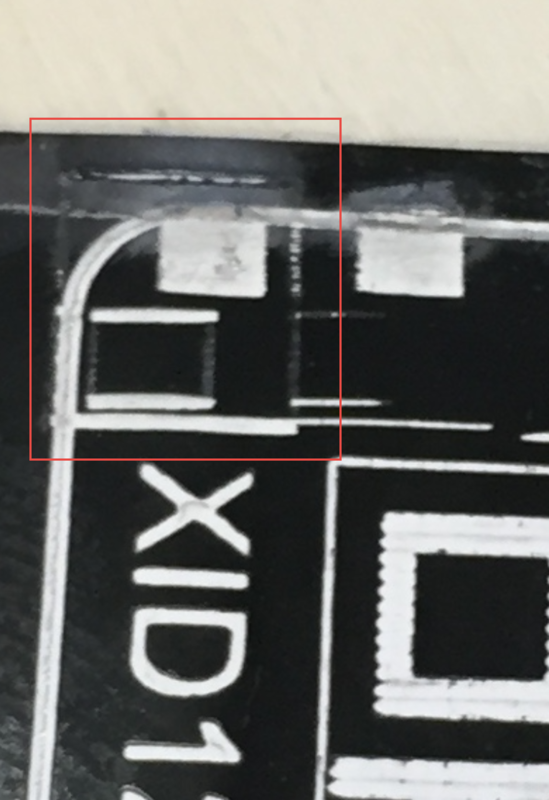 Thanks for confirming that 1.5W works for that kind of material. And pretty good accuracy, congratulations! Thanks, Erich. Considering that I used the toothed edge of a CD tray along with its driving gear from a couple of gently-disassembled (okay, maybe not so gently) CD drives for the platform (c-axis) and also for the laser head (y-axis), I’m very pleased with the resolution and negligible backlash. I’d show you a picture of my set-up but can’t figure out how to do that here. Wow, that’s impressive! And unfortunately it is not possible to add pictures to comments (that’s a WordPress missing feature). Interesting idea! 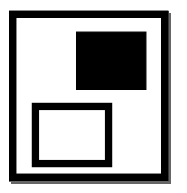 Have you tried to change the focal length (lower the table below) or to impose another material on top? I did on cardboard image of the in regime cutting capacity 5%, the speed 25mm/sec. 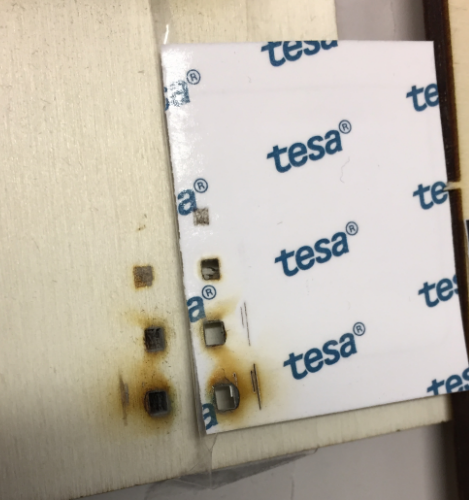 The mode of engraving the cardboard was burning. I have not tried that, but I doubt it would change anything: the laser beam would be more wide with less power, but this would affect the resolution too. I still think it will burn it too much.